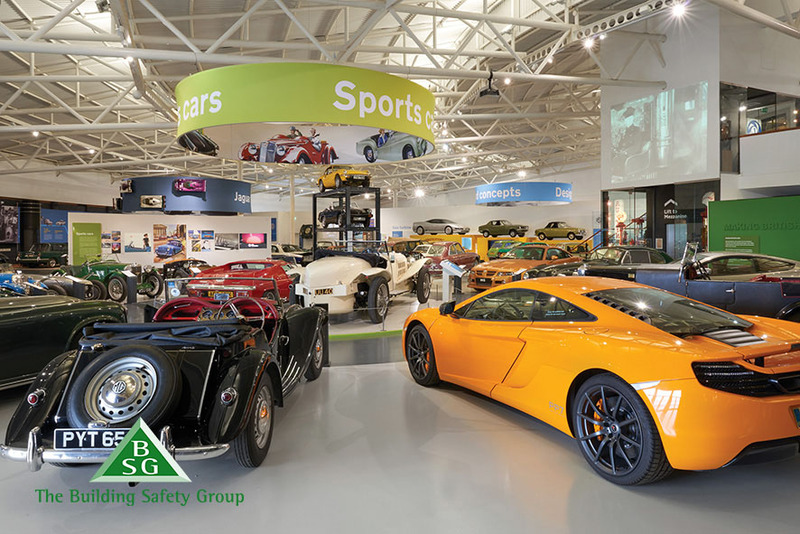 The Building Safety Group will be holding its fifth annual Health & Safety Awards ceremony on Wednesday November 6th 10:30am – 2pm at the British Motor Museum in Gaydon, Warwick CV35 OBJ. The commemoration is held to mark our members’ achievements and excellence in work-related health and safety performance. The day will also include keynote speeches from two high profile industry speakers which will be announced shortly. If you would like to register an interest in nominating your company for an award and reserve delegate places for the ceremony, please contact the marketing team: marketing@bsgltd.co.uk as soon as possible to avoid disappointment, as we are often over-subscribed for this event. To submit your company’s entry, please review the award categories below, click on relevant the link and follow the instructions. BSG’s award categories have been carefully selected so they are applicable to all our members, regardless of company size or type of construction business. We will gladly accept nominations from members for more than one award. We will only accept nominations from registered BSG members. The closing date for nominations will be announced shortly. Why should you enter to win a BSG Award? The British Motor Museum is the World’s largest collection of historic British cars. There are over 300 Classic cars on display from the British Motor Industry Heritage Trust and the Jaguar Heritage Trust. From its earliest days the British motor industry has been a vital part of the economy and the lives of people living in the Midlands and it is still a hub for automotive creativity today. The museum tells the story of the birth, decline and rebirth of the motor industry and the cars it produced, as well as celebrating the skills and creativity of the people who designed and built them. BSG Members who attend the awards will also be given the opportunity to walk around the motor museum.